Note: Everclear is 190 proof (95% alcohol) and in some states of the U.S. a 151 proof (75.5% alcohol) is sold instead. 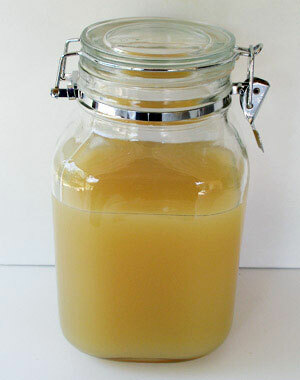 The 190 or 151 proof is fine to make orangecello. If you can not find grain alcohol in your region, use 100 proof vodka. 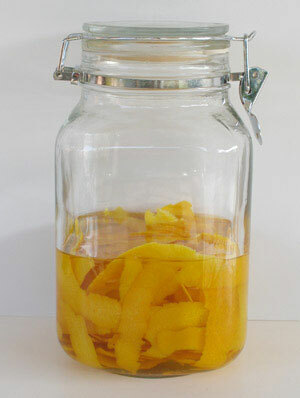 Place all the orange peels in a glass jar and add the grain alcohol. Let the peels and grain alcohol age for at least a month. I usually leave it for 6 weeks. 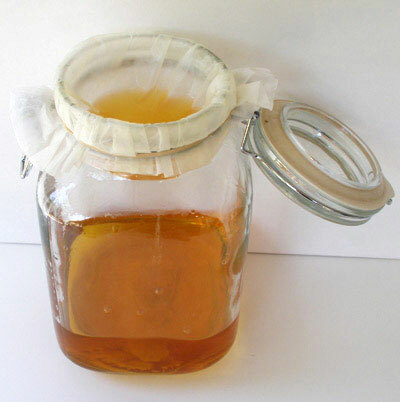 Stir it once a week with a metal or wood spoon. Note: Within the first day of aging, the grain alcohol is going start turning orange. Note: As soon as you add the simple syrup to the liqueur, it is going to change color. It will go from an orange color to a cloudy yellow. 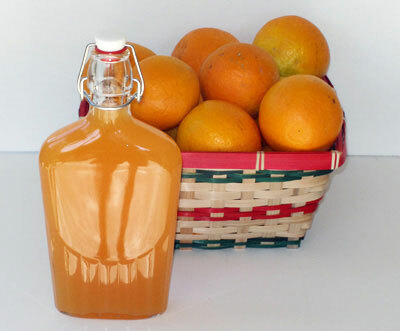 Use a funnel to pour all the orangecello liqueur into empty bottles. 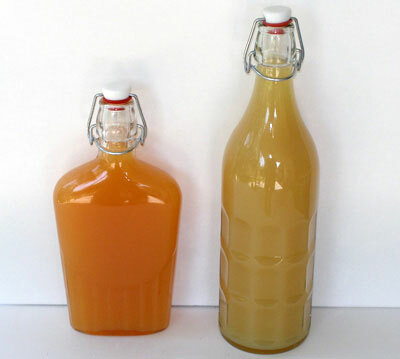 After bottling, the orangecello can be stored in a cool place or in the freezer. 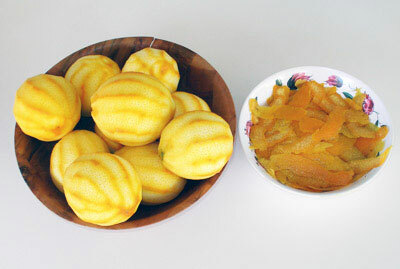 The original color of the orangecello is yellow. To make it orange, add a drop of red food coloring into the bottle and shake it. Add another drop of red food coloring if necessary. Note: This recipe will yield about 1.5 liters of orangecello liqueur. 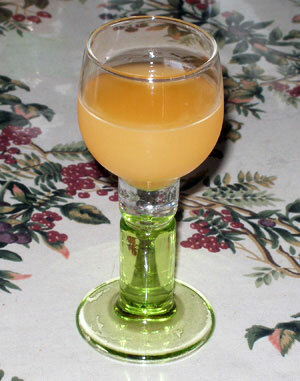 Orangecello is served chilled as an after dinner drink. It's usually served in a small glass like a cordial glass. The glass is usually chilled as well.